Ensuring that your tyres are safe and legally roadworthy is a vital aspect of maintaining your vehicle. Canal Garage specialises in the repair and replacement of car tyres in Taunton. We can also offer affordable wheel balancing for all makes and models of car. We understand that not all of our customers require high-performance tyres. For this reason, we are proud to stock a range of premium and affordable tyres for you to choose from. It is recommended that vehicles that regularly commute long-distances should look to invest in more premium tyres to help them last longer. If you suspect your car is in need of new tyres, book your car into Canal Garage in Somerset today. The process of tyre fitting and replacement is a quick and efficient process when done by professionals. 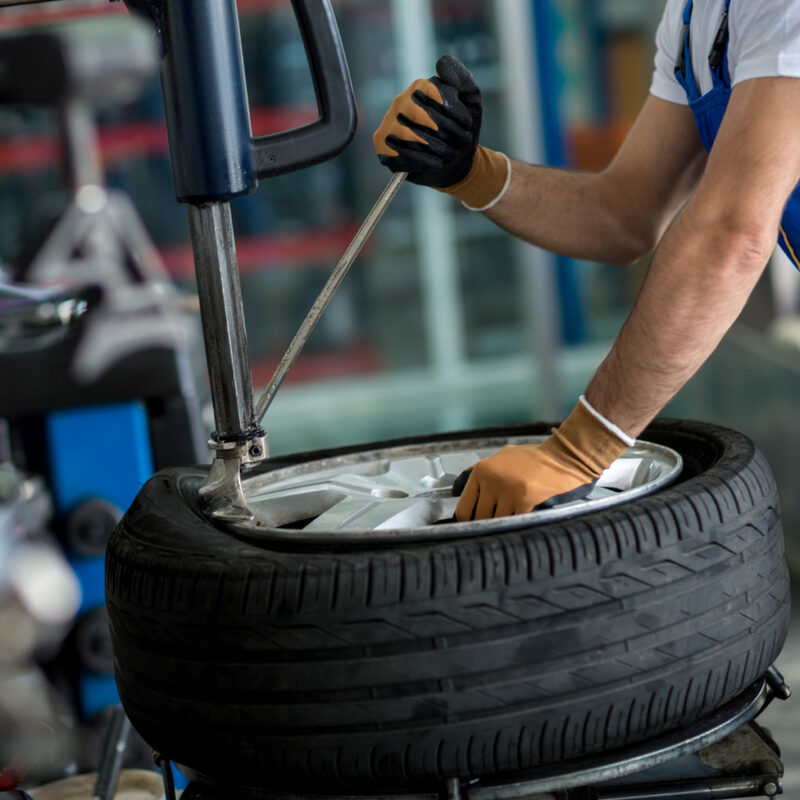 Our mechanics have over 25 years’ experience when it comes to dealing with your car tyres. We can inspect and replace your new tyres in no time, to ensure minimal disruption to your everyday commutes. Whether you are looking to replace all 4 tyres at once, or simply wish to replace your back two tyres, our mechanics are here to help. Book your car into Canal Garage and let our mechanics do the hard work for you. We will have your car looking as good as new in no time. Alternatively, if you are unsure whether your tyres need replacing, bring your car along to our garage for a quick tyre checks. Tyre checks are a quick and easy way of identifying whether or not your tyres need replacement. We will use a tyre gauge to see the tread depth of your tyres. Even if your tyres are at an acceptable depth currently, thanks to our experience, we can advise you on when may be best to replace your tyres. Pop along to Canal Garage today for your affordable tyre checks. So, if you require further information regarding our car tyres Taunton, do not hesitate to give us a call on 01823 352030. We can inspect, repair and replace your tyres to ensure they are safe and legally roadworthy. Book your tyre replacement at our garage on a day that best suits your busy schedule. We look forward to hearing from you soon.